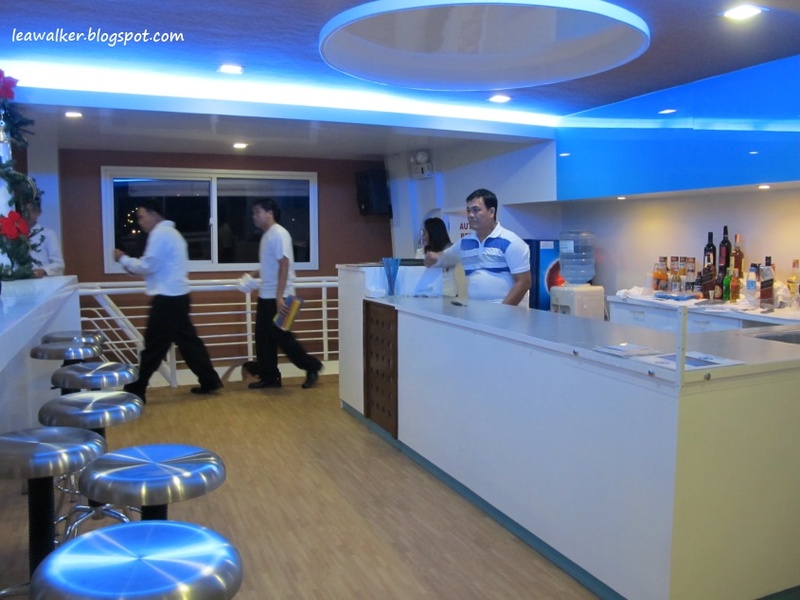 Do you know that there’s a new floating restaurant in Davao City? Yes, that’s right! It’s called THE VENUE. 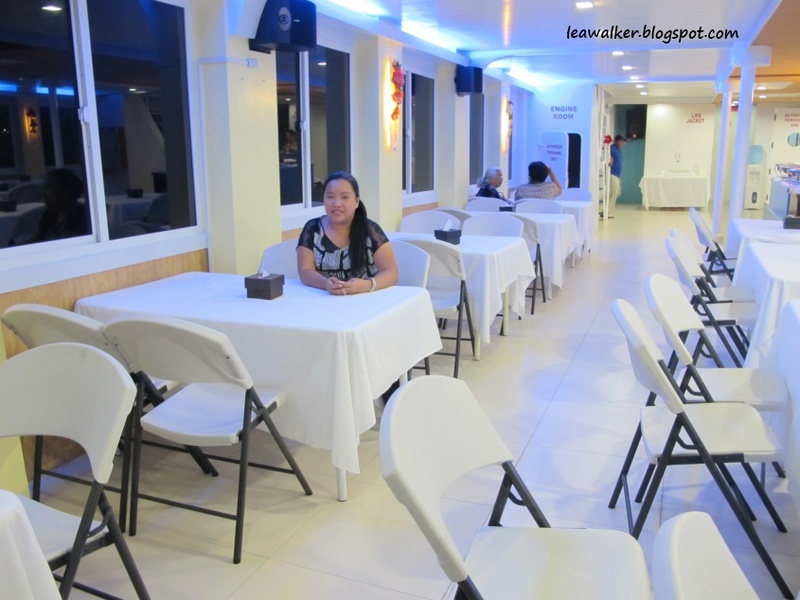 Last Saturday, I was one of the invited guests to the dinner party sponsored by one of the developers in Davao. It’s supposedly an incentive for those who had productions during the 3rd quarter of 2011. I was told that it will be at the ferry boat port in Km. 11, Davao City. I was supposed to bring at least 2 people and since John can’t stand the noise (of the loud music) , I brought mama and my sister , Pearlie with me. Let me share with you the photos I took. 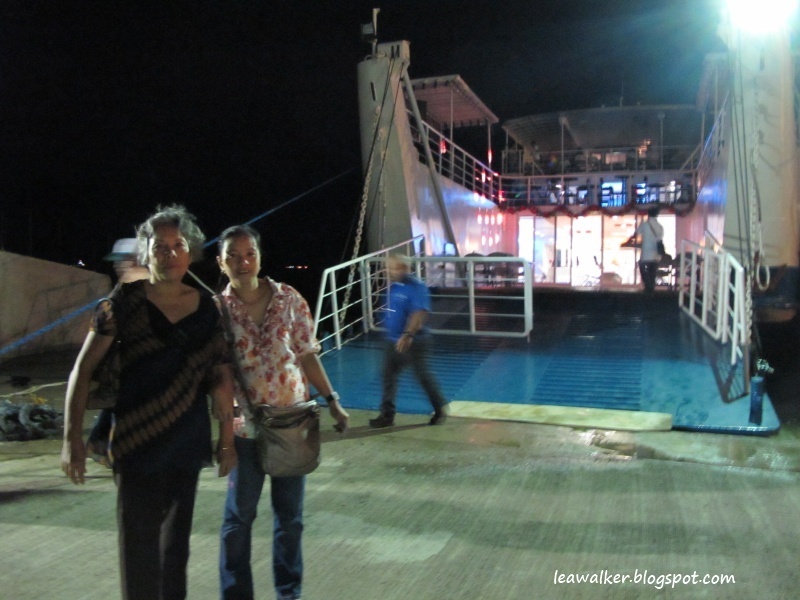 Mama and Pearlie, at the entrance of the Floating Restaurant. The dance floor was filled with people trying to relax on a Saturday night. 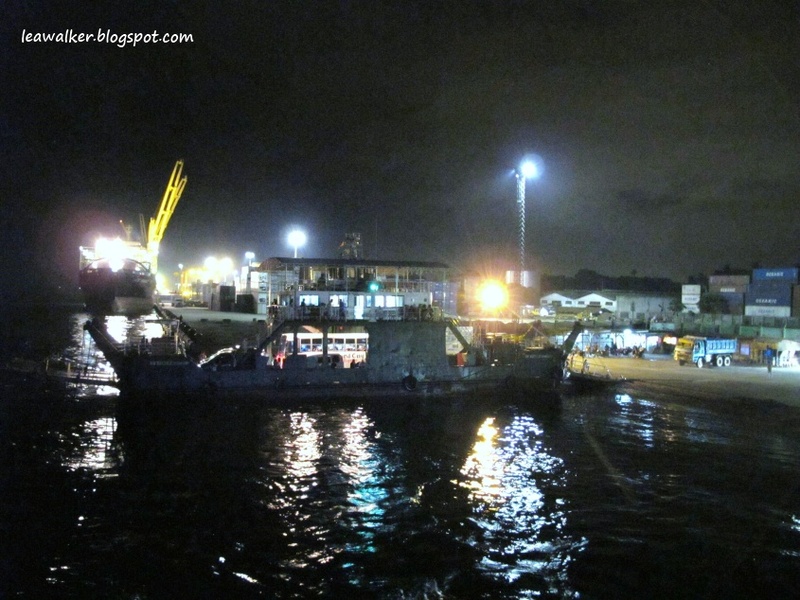 The ferry boat going to Samal Island. 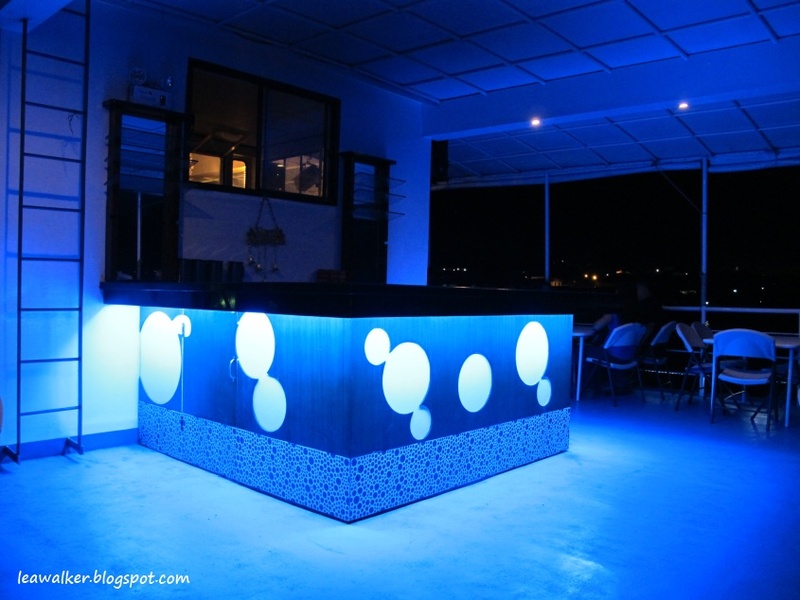 The bar on the 2nd floor near the dance floor. If you don’t have a car, just take a taxi to the Ferry Boat Port in Km. 11, Sasa, Davao City. Once there, tell the guards that you are going to The Venue. They will point you to a separate gate leading to the restaurant. cold at night, you might not like it! 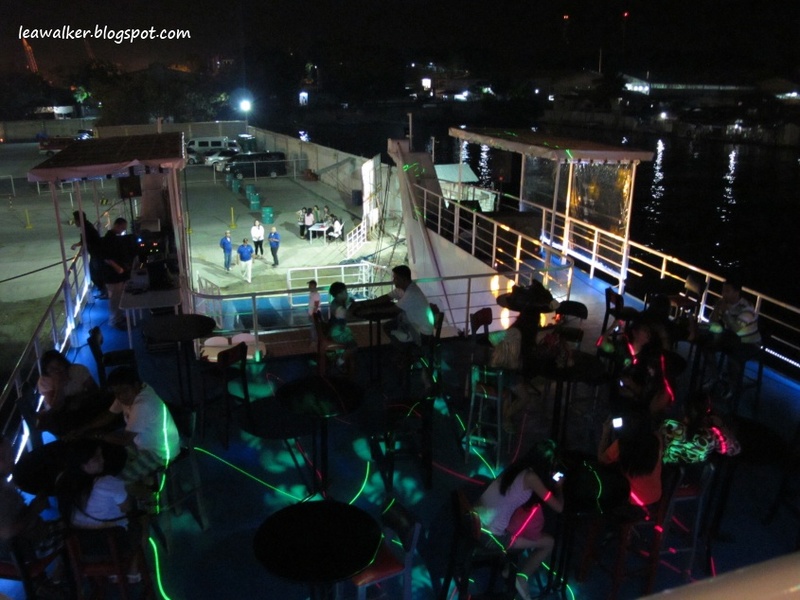 Sailing Time : 8:00 p.m. – 11 p.m.
invite a DJ for the party. So it’s really loud. I’m not much of a party person and I can’t stand a really loud sound, so I guess once is enough for me. But for the experience, you should try it! I think on accoustic nights, the soft melody of the song coupled with the cool sea breeze and good food, would be relaxing…. 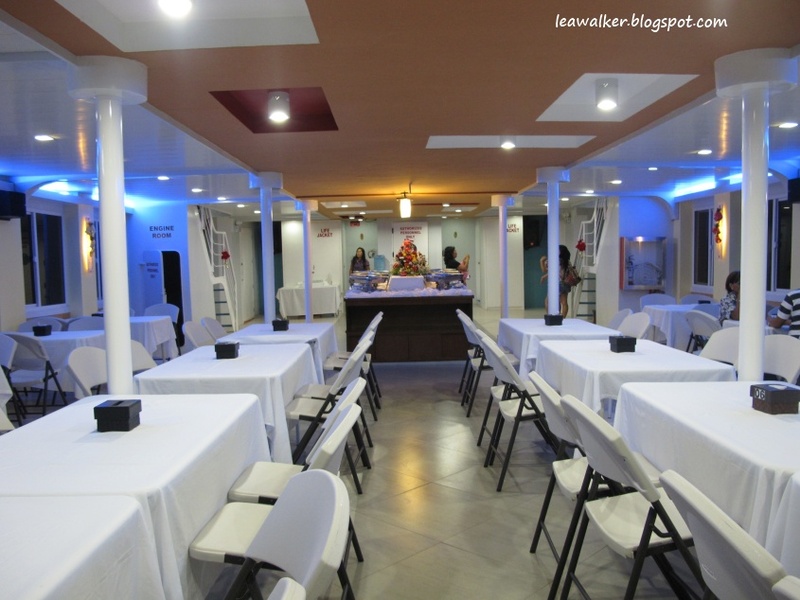 This entry was posted in Samal Island, Uncategorized and tagged Sail boat to samal, Samal Island, Samal Party Boat, The Venue. Bookmark the permalink.